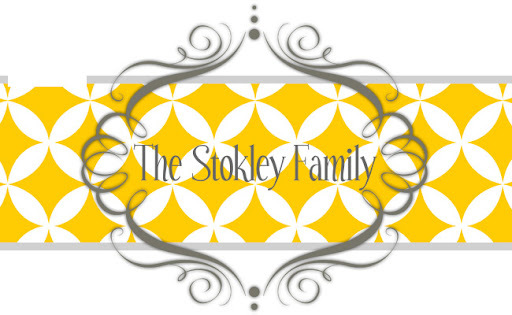 The Stokley Family: Double Decker! Despite the 100 degree temperature weather we have broken out the fall clothes. I dropped Ryleigh and Tanner's fall shirts off to be monogrammed and they should be back today. Just in time for a trip to the Seward Farms Corn Maize on Monday for Ryleigh's field trip. Most of Ryleigh's fall clothes from last year still fit her. Besides her pants which are WAY to short. So she was especially excited at the whole (new to her since she can't remember last year) wardrobe. THe first thing sHe wanted to wear was this brown dress with flowers. We usually put a long sleeve shirt underneath but didn't because like I said it's still 100 degrees here! When we were picking out her bow she couldn't decide between brown or orange. So her solution...Both! Sp I present to you the biggest bow I have ever seen that she did actually wear to school. A Bow big enough to make any southern proud. I bow of epic proportions...The Double Decker! And I thought we were at the biggest size bow tiny town sold. Now we have unleashed a whole new world of bow possibilities! Thanks for stopping by my blog today. You kids are adorable.